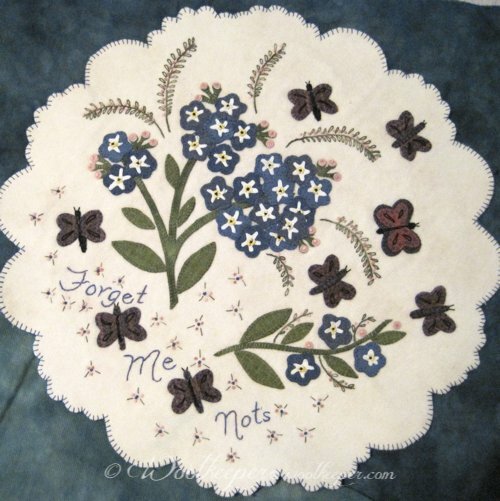 This 18" round all wool applique mat features Forget-Me-Not flowers and buds. Butterflies and embroidered embellishments complete the design. Wool Backing included in the kit. Pattern and Kit regularly $ 49. On Sale during Cyber week for $24.50.